Three friends and I decided to find an accomodation as soon as possible. We search on the web and we asked to ex-L3 students and we found an agency called London Solution. We chose them because we thaugt that they provided good services for a good price (in the London scale!). The first surprise was the fact that the boss employs only French people to receive and help future and current customers. I think it is a good point for you in case of problem. Indeed, if your english is not yet perfect, talk the same native language is better to resolve a problem. Your choice: London Solution ? Even if the appart was very expensive (90 £ per person per week) for the quality and the space, it was great to be in the center, so near to so many monuments, so many activities, so many stars. 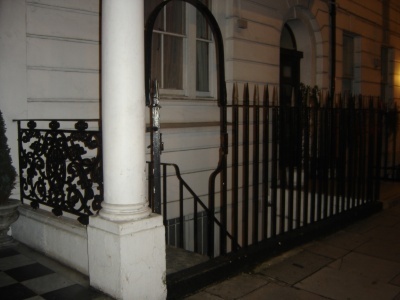 (we lived at 52 Great Cumberland Place, Madonna has a flat in the 51 Great Cumberland Place...). A lot of flats from London Solution are well-placed, some are in a better shape. But is a flat with your friends the better solution? Let's visit the second part of the accommodation section!